Energy is the capacity of a physical system to perform work -this is the simplest definition of energy. Energy as a physical quantity is manifested in many forms -as heat, kinetic, mechanical, and chemical energy, or potential energy. In this book, metaphorically referring to the concept ofenergy, we wish to po int out that it is also possible to talk about aesthetic energy and that this concept is ver} useful in the discussion on the subject of the city. This energy in the context of the city can be understood in two ways. On the one hand, a given place with its ownaestheticnaturehasits ownpotentialofenergy.Afterall,the cityphysically, with its space, landscapes, architecture and art, is an object of permanent aesthetic experience. Can this potential be transformed into work? These aesthetic experiences make people abandon certain places and admire others; sorne cities fall, while others grow. The aesthetic object -and it should be noted that among aesthetic qualities we experience not only beauty or harmony, but also the sublime, tragedy, ugliness and kitsch -in itself, affecting its recipients, may become a source of specific exploitative but also creative activities. The other meaning in which aesthetic energy is understood is related to revealing the aesthetic aspect ofhuman activities. Are we not willing to perform some work in order to save the aesthetic experience or participate in it? It is not difficult to note that the movement of this energy in favourable conditions takes place in a circle: the energy ofplaces affects people’s behaviour and people create places full of energy. 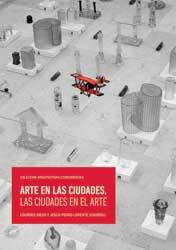 This volume comprises transcripts of the presentations made at the International seminar “CITIES. 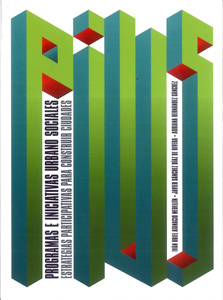 Interdisciplinary Issues in Urban Regeneration, Urban Design, Public Art and Public Space”, organized by the POLIS Research Centre and the PAUDO (Public Art and Urban Design Observatory) network in December 2013. The book traces the paths of economic and political theory concerning the role of urban regeneration processes, from an overview of the policies implemented in Europe to their actual impact on job creation and local innovation initiatives. 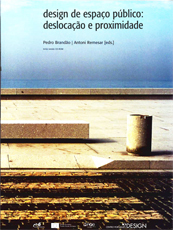 It addresses physical aspects of urban design processes, analysing an interdisciplinary project for urban regeneration of the Lisbon riverfront, and proposes some ideas on how to deal with climate change in the construction of public space in cities. 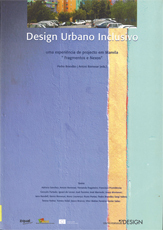 Finally, the book concludes with a reflection on new modes of urban governance that can make an urban environment more liveable, evaluating the involvement of neighbours reconvertint their role from consultive partners to active participants in the physical (urban design) and symbolic (public art) transformation of their communities. 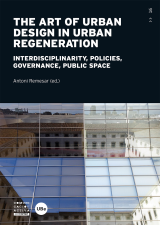 Thus, the book encompasses a broad reflection on urban regeneration, with contributions from disciplinary fields as diverse as Economics, Public Policy, Urban Design and Architecture, Landscaping and Public Art, and draws attention to the need for further interdisciplinary work. 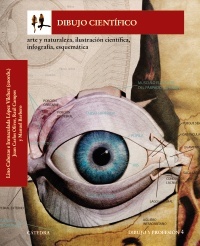 ISBN: 978-84-376-3546-0 No podríamos concebir el pasado, el presente y el futuro de la ciencia sin sus imágenes. El dibujo científico ha hecho visible lo observado y lo imaginado, dando forma, por igual, al pensamiento y al conocimiento. Este cuarto volumen de la serie "Dibujo y profesión" se dedica al estudio del arte al servicio de la ciencia. En "Dibujo científico" se analizan aquellas imágenes concebidas para: mostrar, conocer, reconocer, organizar, clasificar… no solo los fenómenos del mundo material sino también el complejo universo de las ideas; particularmente, cuando el discurso escrito se muestra insuficiente, como ya anunciaba Leonardo da Vinci, paradigma de la integración de arte y ciencia: "La pintura presenta las obras de la naturaleza ante los sentidos con mayor autenticidad y certeza de lo que lo hacen las palabras o las letras". "Ver es creer" y el dibujo científico ha creado el imaginario con el que el hombre conoce el mundo a través de unas representaciones elaboradas artificialmente cuyos códigos se han enriquecido de manera continua desde los primitivos dibujos hasta los contemporáneos modelos 3D. 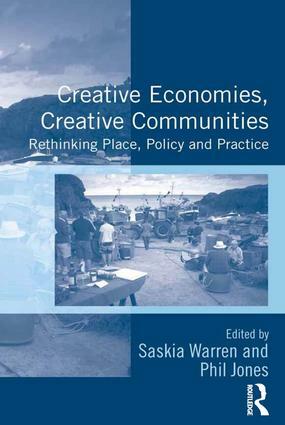 Investigating how people and places are connected into the creative economy, this volume takes a holistic view of the intersections between community, policy and practice and how they are co-constituted. The role of the creative economy and broader cultural policy within community development is problematised and, in a significant addition to work in this area, the concept of ’place’ forms a key cross cutting theme. It brings together case studies from the European Union across urban, rural and coastal areas, along with examples from the developing world, to explore tensions in universal and regionally-specific issues. Empirically-based and theoretically-informed, this collection is of particular interest to academics, postgraduates, policy makers and practitioners within geography, urban and regional studies, cultural policy and the cultural/creative industries. ISBN 978-84-92582-89-1 Este libro ofrece una panorámica representativa de las principales tipologías de arte público en Aragón: un espejo en el que contínuamente nos miramos todos al pasar y, en la medida que refleja cómo somos/ fuimos, constituye una "imagen de marca" de cada barrio, pueblo o ciudad, comarca y territorio. Hay un hilo conductor común a lo largo de estas páginas, que es el interés por nuestras multiculturales señas identitarias. No es exactamente el objetivo relatar la historia del arte público en Aragón, así que, en lugar de un típico relato cronológico lineal, se ha fragmentado en cinco secciones "temáticas" ordenadas diacrónicamente que se solapan las una tras otra, de manera que cada una se va acercando cada vez más al momento presente. Al revés de lo que suele ser habitual en la historiografía artística, cuyos discursos tienden a estar centrados en las obras de arte, aquí se trata de explicarlas en función de su carácter público. Se comenta una selección - inevitablemente subjetiva y parcial- de esculturas, pinturas y otras artes ornamentales visibles cualquier día u hora en nuestros espacios urbanos y naturales, para dar a conocer mejor este patrimonio colectivo y, por ende, contribuir a su aprecio, disfrute social y protección. ISBN 978-84- 376- 3385-5 El mapa, símbo lo de cultura y desarrollo científico, es, en su esencia gráfica, dibujo del territorio. La representación cartográfica se ha configurado como un auténtico lenguaje visual repleto de códigos y conocimiento en continua evolución desde hace milenios. Muchos son los libro s qu e nos hablan del mapa y evocadoras sus imágenes. ¿Por qué ot ro libro sobre mapas? Porque esta obra es más qu e un libro de mapas. En Dibujo y territorio se analiza particularmente la construcción del lenguaje gráfico del mapa en estrecha relación con los co nceptos de representación y dibujo, entendiendo qu e son necesarias las referencias al arte, la ciencia, la técnica cartográfica, así como el estudio de su histo ria y valo res simbólicos. 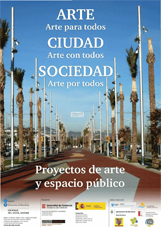 Otros aspectos complementa rios como su extensión en el arte contemporáneo o su simbología de poder. 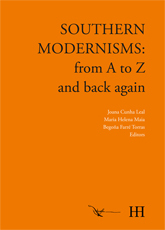 The book now being published results from a research project entitled Southern Modernisms that ran from March 2014 to May 2015 with FCT funding. 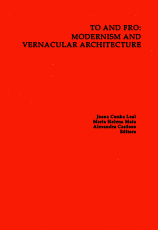 The aim of the project was to explore the possibility of constructing a more inclusive, plural notion of modernism through the revision of Modernism’s prevailing definition – its stylistic focus, its formalist and anti-representative bias, as well as its autonomic assumptions, or, as far as architecture is concerned, its functionalist credo. This critical undertaking was grounded on the hypothesis that southern European modernisms featured a strong entrenchment in popular culture (folk art and vernacular architecture), and that this characteristic could be understood as anticipating some of the premises of, what would later become known as, critical regionalism. It was, therefore, our purpose to explore parallel key claims on modernism’s intertwining with bourgeois society and mass culture. This was done by questioning the idea that aesthetically significant regionalism – regionalism that resists the colonization of international styles through its critical awareness – only occurred in the context of postmodernist architecture. Experience of Art in Urban Space. their pseudonyms function as a corporate logo.Moreover, this kind of art is the activity, which requires substantial expenditures and good work organisation, is possible due to in stitutional support of various foundations and associations, as well as th e festival formula which can ensure a wide audience and high co-financings. These works are, therefore, created in series and painting walls gains the rank of an event that later onleads to its second (who knows if not the firsti) life on -line. Puebla. 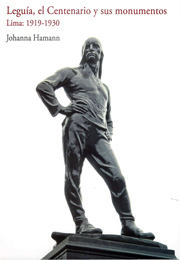 Benemérita Universidad Autónoma de Puebla. 2014. ISBN 978-607-487-741-0 En este libro se presenta la pro puesta de los Programas e Iniciativas Urbano Sociales (Pl US). la metodología y todos los elementos constitutivos de este proceso de participación que tiene antecedentes exitosos en muchas partes del mundo. El énfasis de los PlUS está en la integración de las intervenciones urbanas. sociales y económicas que usualmente van por caminos diferentes. La propuesta pretende llegar al Presupuesto y Diseño Participativo de los espacios con la colaboración de las universidades y otros actores sociales. Aspira a que la visión ciudadana realmente se manifieste en el ejercicio del poder. que las estructuras municipales y estatales incorporen el servicio civil y que algunas áreas sean realmente conducidas por ciudadanos sin partido político. Los PlUS son una metodología y una experiencia que en poco tiempo al aplicarse en la ciudad de Puebla. dejó a la vista que el discurso de la participación ciudadana puede ser realidad: fue una respuesta ante el desarrollo disperso y desordenado que se ha dado en muchas colonias populares. unidades habitacionales, juntas auxiliares, incluso en barrios y zonas periféricas al Centro Histórico . 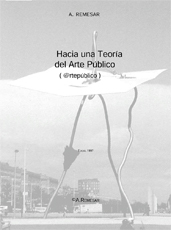 Este libro se realizó con apoyo del Fondo Nacional para la Cuhura y las Artes a travésdel Programa de forneto a Proyectos y Co-inversiones Culturales, Emisión 2013. El estudio de la ciudad, de su paisaje físico y humano, requiere aproximaciones diferenciadas en cuanto este paisaje es poliédrico, no es unidimensional. 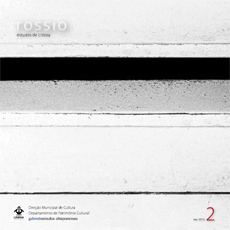 Este cuaderno de Rossio, recoge una serie de trabajos de investigación desarrollados en el marco del programa de doctorado Espacio Publico y Regeneración Urbana y en el master en Diseño Urbano, ambos dos programas de la Universitat de Barcelona. 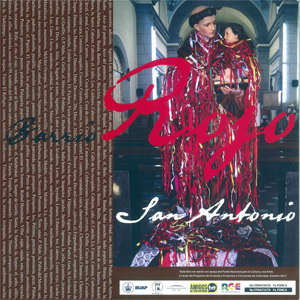 estrechamente con los programas de Barcelona. ¿Qué particularidad tiene este cuaderno central? El abordaje interdisciplinar acerca de los temas tratados. Entre los que escriben hay arquitectos, designers, ingenieros, historiadores del arte, artistas, filósofos diletantes. Todos comparten la idea de que abordar la realidad de una ciudad como Lisboa requiere abandonar prejuicios y ganar espesor gracias a un enfoque amplio, centrado en un problema o situación urbana, y no en el despliegue de contenidos disciplinares. ART, CITY, SOCIETY. Art for All, Art with everyone Art by all, collects the projects developed by the Polis Research Centre, Research Group Art, City, Society at the University of Barcelona. 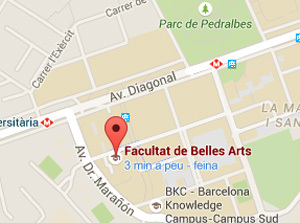 The Board of Governors of the University of Barcelona created POLIS Research Centre in July 1999. 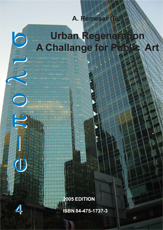 Since then it has developed its research in the areas of Public Art, Urban Design, but mostly has excelled in developing an original vision of the role of the possibilities of art in urban regeneration processes. In this sense, the Centre has been a pioneer in the development of creative strategies for citizen participation that can be encompassed by this label, so trendy, which is that of governance. 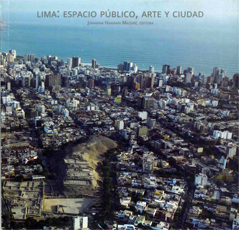 El Seminario Internacional Lima: Espacio Público, Arte y Ciudad, se realizó en la Facultad de Arte de la Pontificia Universidad Católica del Perú, del 17 al 25 de agosto del 2010 y contó con la participación de reconocidos investigadores peruanos, como Juan Tokeshi, Mario Montalbetti, Jose Canziani, Antonio Zapata, Wiley Ludeña y la artista escultora Lika Mutal. Asimismo, contó con la especial participación de Antoni Remesar, especialista internacional en espacio público y regeneración urbana de la Universidad de Barcelona, quien fue especialmente invitado por la especialidad de Escultura de la Facultad de Arte. El libro que aquí presentamos reúne los ensayos elaborados sobre la base de las ponencias expuestas en el Seminario. 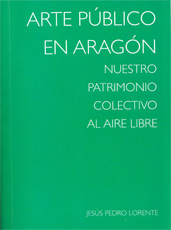 Edition: Zaragoza, 2013, Publisher: Ediciones Universidad San |orge, 2012. Las aglomeraciones urbanas han sido siempre la avanzadilla de grandes progresos en la arquitectura y las artes, que han proporcionado a su vez un rico filón iconográfico de imágenes ciudadanas. A esta doble perspectiva están dedicadas las páginas de este volumen, donde se combinan además múltiples perspectivas disciplinares. Colaboran en él arquitectos, artistas, historiadores del arte, sociólogos u otros expertos que han aportado avances de sus investigaciones en torno a un amplio abanico de aspectos. Los casos de estudio versan sobre muchas ciudades, no solo las más cercanas a nuestro contexto, sino también otras urbes españolas o metrópolis extranjeras; del mismo modo, en el elenco de autores hay investigadores de instituciones aragonesas, pero también del resto de España o de allende nuestras fronteras. El resultado es un fascinante caleidoscopio de estudios, que son muy representativos de la combinación de interés local y vocación universal que caracteriza tanto a la Universidad San Jorge (USJ) como al grupo de investigación «Observatorio Aragonés de Arte en la Esfera Pública» (OAAEP). 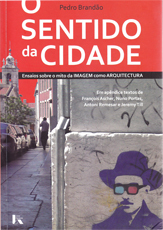 The book now being published results from a research project entitled The Popular Architecture in Portugal. A Critical Look, which begun in April 2010 under the leadership of Pedro Vieira de Almeida with FCT/COMPETE funding. !e aim of the project was to undertake a re-reading of the book Arquitectura Popular em Portugal (Popular Architecture in Portugal) as a clearly delimited reference basis in order to put to the test two expressive variables in architecture: transition-space and thickness, the latter understood to give rise to a poetics of thick walls and a poetics of thin walls. 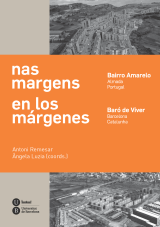 !ese two variables were characterized by Pedro Vieira de Almeida in 2010 as mezzo voce architectural parameters, a term which we used as an overall title for a series of four volumes published between 2010 and 2013 with the results of our research. 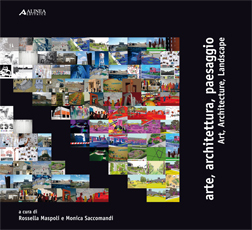 Il volume raccoglie analisi, esperienze, riflessioni e progetti intorno allo spazio pubblico aperto come pratica transdisciplinare fra arte, architettura e disegno di micro-paesaggi urbani. La ricerca-azione mira ad accrescere le qualità, tecnico-ambientale e estetico-percettiva degli spazi pubblici per creare nuove centralità urbane e stimolare la riqualificazione post-industriale. Il primo capitolo del libro affronta, a partire da diverse visioni disciplinari, i significati dello spazio aperto urbano. Nel secondo si presentano e analizzano casi di studio di pratiche creative di confine. Il terzo capitolo riguarda le esperienze di ricerca, dialogo e promozione progettuale del Laboratorio di arte&architettura (LabA&A), su un quartiere emblematico delle criticità e delle trasformazioni post-industriali: "Barriera di Milano" a Torino. Il quarto capitolo è dedicato alle potenzialità di intervento nel contesto pubblico di installazioni artistiche, nello specifico il caso è quello relativo ad un'area che dopo la dismissione produttiva diventa un parco. 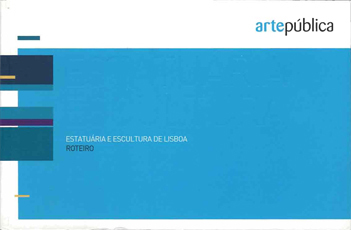 A Arte Pública engloba um tipo de arte associado à cidadania, ligado à cultura e práticas de um povo, de uma comunidade ou de um grupo. Desde os grafittis, as performances, as instalações e também aquela que hoje prolifera: a arte fora dos museus integrada no próprio espaço público. 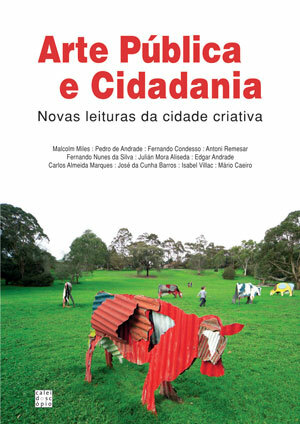 O livro está dividido em três grandes áreas:- Arte Pública e estéticas sociais na urbanscape;- Políticas Urbanas e arte no espaço público;- Artes, turismo e cidadania crítica. Esta obra, um trabalho colectivo coordenado por Pedro de Andrade, Carlos Marques e José da Cunha Barros, reúne diversas contribuições nacionais e internacionais. Para além dos autores anteriores, os colaboradores incluem Malcolm Miles, Fernando Condesso, Antoni Remesar, Fernando Nunes da Silva, Julian Mora Aliseda, Edgar Andrade, Carlos Almeida Marques, Isabel Villac e Mário Caeiro. Abordar as relações entre os processos de regeneração urbana e a arte pública é um lema difícil e complicado devido, em grande parte, à polissemia dos dois conceitos e por incidir em áreas em que predomina a visão cultural do império, distorcendo. tal como acontece noutros âmbitos. a percepção e o saber que podemos ler sobre a realidade. Em qualquer caso é pertinente falar-se de regeneração urbana a partir dos processos urbanos desenvolvidos em lodo o mundo, após a Segunda Guerra Mundial. Este conceito agrupa realidades diversas e dispares, respeitantes a práticas de renovação do tecido urbano, mediante programas intensivos. Conceitos como "urban renewal" ou "urban rehabilitalion", estão contidos no de Regeneração Urbana. 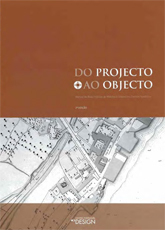 O Manual de Boas Práticas de Mobiliário Urbano em Centros Históricos reúne uma série de recomendações que devem ser ponderadas na realização, avaliação e execução de projectos urbanos e do seu mobiliário, quer da perspectiva da selecção de produtos ou objectos de produção industrial ou de desenho específico, quer da perspectiva da sua implantação e integração espacial. As intervenções nos centros históri os envolvem diversas actividades que procuram a melh oria das suas qualidades físicas , económicas, sociais e culturais, entre outras. 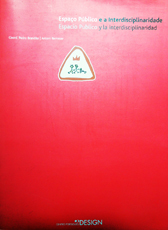 Neste contexto , este manual oferece linhas de or ientação que pe rmitam avaliar e adequar as necessidades de cada centro históri co, contribu indo para a sua valorização e identidade e para o seu desenvolvim ento susten tável, sem impedir a mudança ou estag nar a criatividade do projectista , mas de modo a assegurar que a tran sformação quando ocorre, promove as caracterís ticas intrínsecas dos centros históricos Para além di sto , resulta num trabalho de consulta, capaz de informar e aconselhar, todos os intervenientes no espaço púb l ico no que se refere a mobiliário e equipamento urbano. O design , através do mobiliário urbano deve ser entendido como um instrumento criativo capaz de intervir e transformar o espaço público , quer seja pela forma , quer seja pela função , quer seja pela sua organização espacial. Falamos , obviamente, de um diferente nível de produção de espaço à escala da rua , e é precisamente neste con texto que residem as principais questões relacionadas com o mobiliário e equipamento urbano abordadas neste estudo. Na malha urbana da capital, as obras escultóricas dispersam-se predominantemente pelos seus principais eixos de desenvolvimento, conglomerando-se numa lata faixa que progride de sul para norte e numa margem litoral que parte da zona de Belém, a ocidente, e culmina no Parque das Nações, a oriente, um dos mais relevantes núcleos escultóricos da cidade, concebido e instalado aquando da EXPO’98, onde a produção nacional convive com criações internacionais de considerável prestígio. Em Lisboa, destacam-se ainda outros epicentros esculturais, como o romântico Jardim Guerra Junqueiro, também denominado Jardim da Estrela, o estado-novista Parque Eduardo VII e o Jardim da Fundação Calouste de Gulbenkian, também notável pela reunião de obras de alguns criadores portugueses e estrangeiros de vulto. Neste cenário do espaço público, a intervenção artística ao perpetuar-se, esbate-se no quotidiano da paisagem citadina. A perenidade que geralmente assiste aos materiais eleitos na sua concepção, o seu carácter público que convoca tão apenas um olhar passageiro e não a intencionalidade de visita, como acontece com bens expostos nos espaços museais ou galerísticos, a sua constante e desinformada presença, activa um processo de atenuamento que importa combater, tornando estas obras parte viva na experiência da urbe. Brandão, P - Remesar, A.
DOWNDABLE Urban Regeneration. A challenge for Public Art, supposed the start of a trend of critical thought related to the topics of Public Art, Urban Regeneration and Urban Design. This trend agglutinated around the Public Art Observatory that, still today, develops its activities. 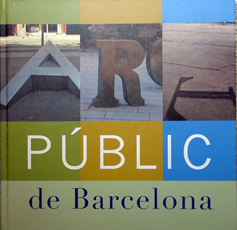 The book gathers a series of critical proposals organized in the chapters " Art and Design in/for Public Space ", " Forms and Representations of Public Art/Public Space. The Producer/User Dilemma " and " Public Art / Cities in Competition: Strategies, Bridges and Gateways ", with the participation of, among others, Sergi Valera, Ray Smith, Martí Peran, Ian Rawlinson, Chaké Matosian, Enric Pol, J. Hyatt, J. Gingell or T. Bovaird. En otros foros en los que se pretende analizar la vigencia del concepto de arte público, aparecen siempre dos cuestiones que, por lo general, distorsionan el ambiente e impiden una discusión en profundidad acerca del tema. La primera cuestión hace referencia al hecho de defender que todo arte es arte público, debilitando así el posible desarrollo del concepto y englobándolo en la pantanosa dimensión de la definición de arte. La segunda, ligada en buena medida a la primera, hace referencia al rechazo del término arte público y a la reivindicación del arte para espacios públicos.